Carport Central is the nation’s largest dealer of carports and metal buildings, providing exceptional customer service and shorter lead times. We take the time to LISTEN to our customers, to ensure that we meet all your needs, as well as your budget! We partner with top local manufacturers across the country to install your steel building right the first time, in less time, every time. Buy a metal building quicker and easier, exactly the way you want it! Privacy and security built from the ground up, order your Custom Garage today! Prefabricated custom metal buildings, Clear Span Metal Buildings, Utility Carports and Metal Sheds - Custom built just for you, Order Now!! Carport Central is your one-stop online shop for all your metal building needs, from carports to garages to barns to commercial metal buildings! 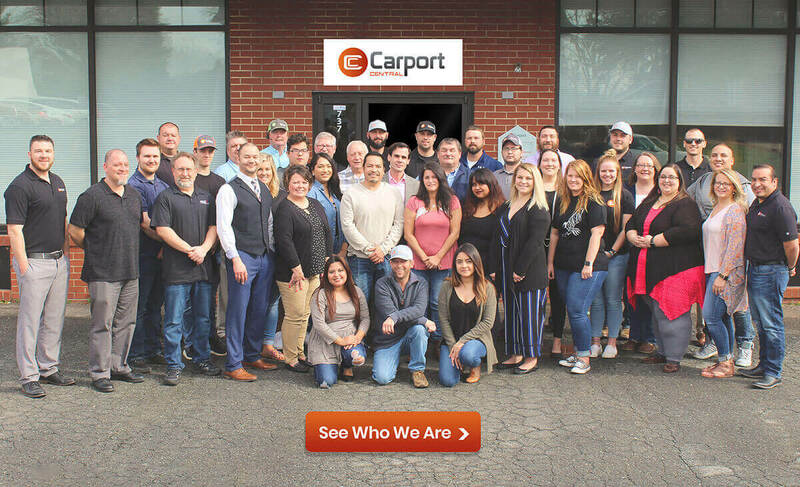 Thanks to our great relationships with local manufacturers from the East Coast to the West Coast, a state-of-the-art web platform, an expert team of building specialists, and customer service that is second-to-none, Carport Central has become the top volume dealer of metal buildings in America. Still can’t decide? Don’t worry! We’ve assembled a selection of informational articles on all things related to carports and metal buildings to help you on our Carport Central blog here. Want to design your own custom building from the comfort of your couch? Use our ground breaking 3D Carport Price Estimator (accessible from any computer or mobile device) to dream up and design the carport or metal building that matches your needs AND your budget! Know exactly what building you want? You can easily order it online with Carport Direct! Do you need help finding the perfect structure that is suited to your needs & budget? You should check out our metal building buying guides, they’re designed to help you find the perfect building or carport of your need. Work with one of our friendly building specialists who will walk you through the process of owning a custom metal building that will meet your expectations, needs AND budget. Carport Central works with multiple carport companies and manufacturers to bring you the best product with great prices and short lead times. Learn everything about custom-designed metal carports and buildings! You can get tips and insight from our building experts through our blogs. Carport Central sells around 100 metal buildings each week, all of which can be delivered and installed for FREE! We have buildings to suit most every need, whether it be a metal storage shed, workshop, carport, or something else – we’ve got you covered. We offer the best metal carport prices for customers across the country, customized to your exact needs as well as your budget! We offer certified metal buildings, vertical commercial buildings, and clear-span metal buildings that can be used for any industrial, commercial, agricultural, workshop, or warehousing needs. Feel free to browse some of the popular pre-engineered building plans available on our website! Ordering a building from Carport Central is easy – simply select a metal structure from our website, or reach out to us to request a personal quote. We have the industry’s most comprehensive 3D-design tool, which allows you to customize your metal building and see an accurate estimate of pricing based upon your chosen customization options. Better yet, give us a call today at (844) 860-4950 to speak with one of our friendly and knowledgeable building specialists. We can help walk you through every step of the process, from design to purchase to construction to installation of your custom building. We will take the time to LISTEN before we give any recommendations; we’re here to help you! We won’t leave anything to chance, and we’ll assist you in navigating everything from engineer certification to building permits, and everything in between. And Carport Central’s commercial metal buildings are a great fit for an individual or business in need of a larger facility, including everything from warehouses, workshops, restaurants, offices, repair shops, manufacturing facilities, agricultural structures, and anything else you may need!